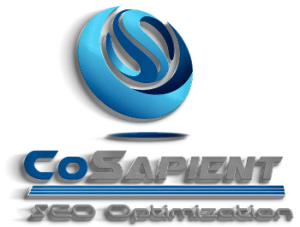 CoSapient’s Large business SEO services achieve first page placement for the highest level of keyword phrase competition on the internet. **12 press releases written and submitted to PR Web OR Online PR News over the course of 12 months upon request. If you need a custom quote prepared feel free to call us toll free at: 844-972-7436. We have optimized as many as 19,000 phrases over 1,900 pages for one client. Whatever your placement needs are, we have a solution that will work for you. Our Large Enterprise SEO Service plans are for clients that require first page placement in the most competitive keyword phrase spaces. With the use of micro-sites and up to 8000 keyword phrases, multiple geographic locations as well as numerous product and/or service offerings can effectively be targeted. Over 85% of our clients upgrade (at no penalty) to a higher level of service using the additional profits they make from increased sales due to higher inbound traffic volume. Guaranteed first page results or your money back. Published pricing. No yearly contracts. CONTACT US NOW! We’re experts at getting you on the first page of the major search engines and driving on average 5-10 times the traffic to your site. Try us risk free – results in 90 days or a 100% refund. Let’s get started!